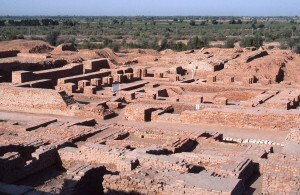 Dholavira is an archaeological site at Khadirbet inBhachau Taluka of Kutch District, in the state of Gujarat in western India, which has taken its name from a modern village 1 km (0.62 mi) south of it. It is one of the five largest Harappan sites and most prominent archaeological sites in India belonging to the Indus Valley Civilization. It is also considered as grandest of cities of its time. It is located on the Khadir bet island in the Kutch Desert Wildlife Sanctuary in Great Rann of Kutchand the area of the full site is more than 100 ha (250 acres). Dholavira is only 290 kms away from Kutch Resort.